Straight off the heels of my last post, two more savouries. 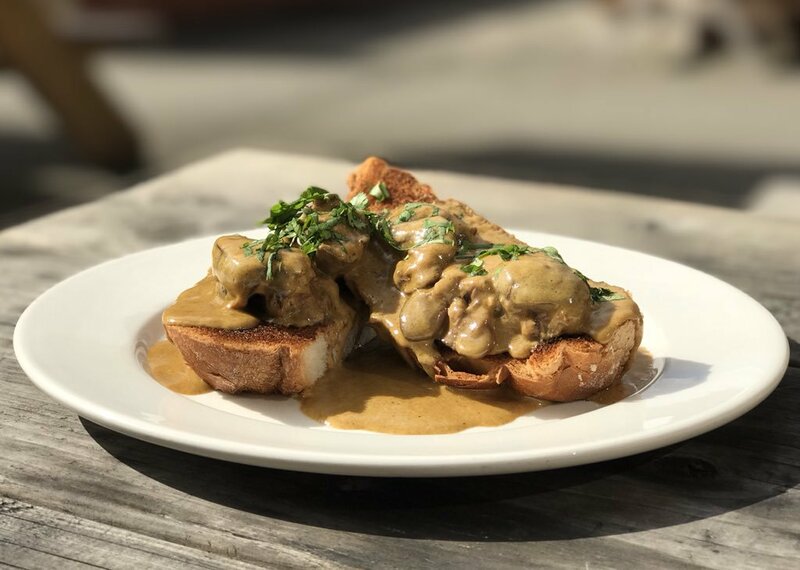 Apparently, it is incorrect to call it a rarebit, it is a “false etymological refinement”; it should be called Welsh rabbit. Why? Well it’s a bit of a dour Welsh joke. 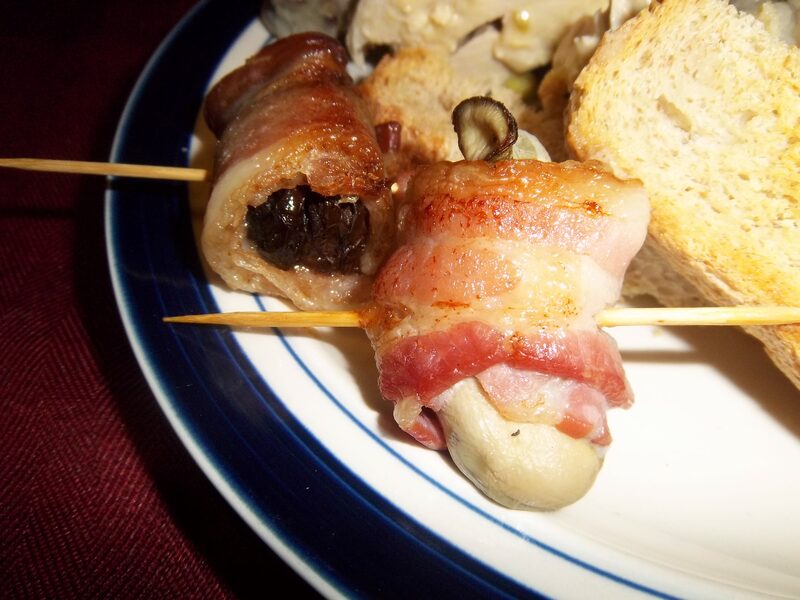 The poor Welsh peasants of yore named this cheesy mixture – which is high in fat and protein – a ‘rabbit’ to make up for the fact they couldn’t get hold of any meat; they were not allowed hunt themselves, or even to eat the unwanted rabbits caught in hunts by nobles. Actually, no one really knows where it comes from, but that explanation will do me. See this post for more on hunting. There are, in fact, three types of rabbit/rarebit: Welsh, English and Scottish. After the success of the integration of Welsh rarebit into posh folks’ savoury courses, the rest of the kingdom tried to jump on the rarebit bandwagon. I don’t know why, because they have many perfectly good savouries themselves. I have made these other rarebits, and they are pale imitations. In fact, the English rarebit was so disgusting, I ended up dry-retching into a sink, and I have a pretty strong constitution as I’m sure you all know by now! English rarebit is a slice of toast, with a glass of red wine thrown on it, topped with sliced cheese and grilled. The combination of soggy toast, congealed cheese and the breath-taking hit of hot wine in my mouth and nostrils tipped me over the edge. Toast a piece of bread very nicely on both sides, butter it, cut a slice of cheese about as big as the bread, toast it on both sides, and lay it on the bread. That recipe comes from 1747, and I have never worked out how you toast a piece of cheese on both sides without disaster! 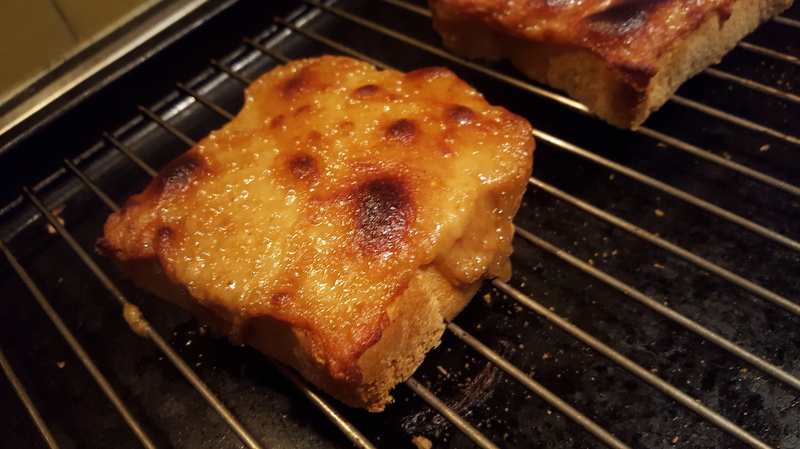 These days we are used to a very thick cheese topping piled on our toast for Welsh rarebit, but traditionally it is quite liquid, soaking into the toast as it grilled. 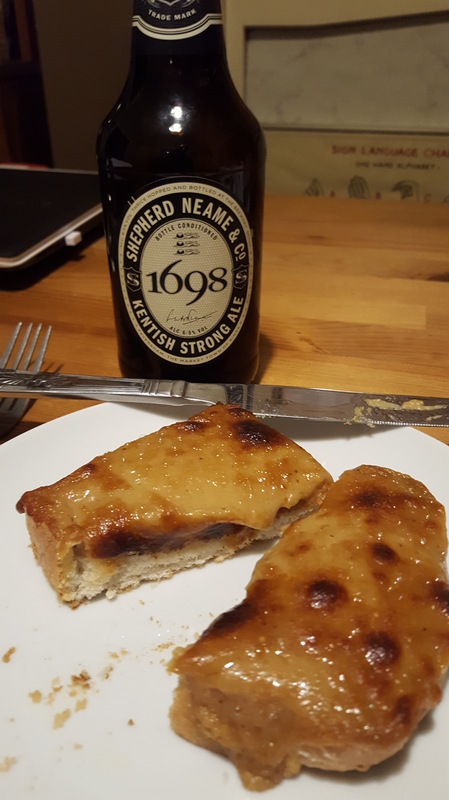 The base of the rarebit should be ale or stout, but the result is very rich, so if you prefer, cut it with some milk. This recipe makes quite a lot of the mixture, but if you don’t use it all, don’t worry as keeps in the fridge for five or six days. 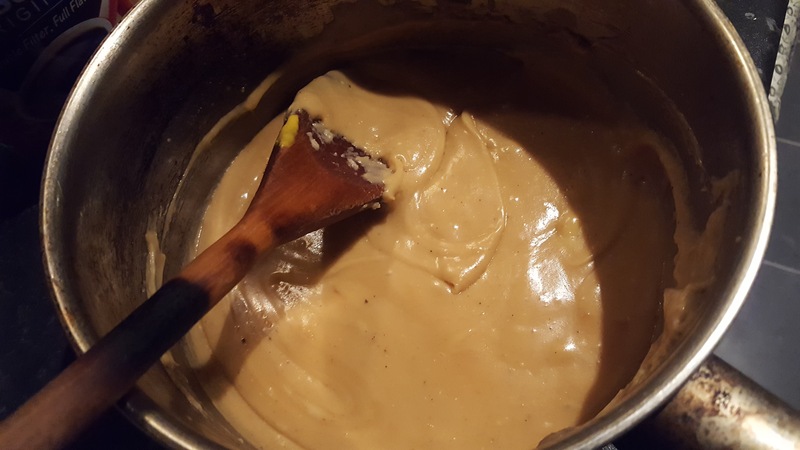 Melt the butter in a saucepan and stir in the flour to make a roux. 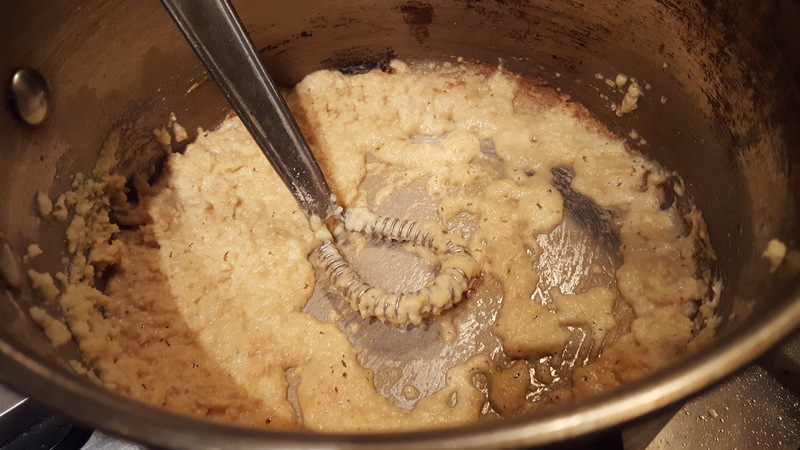 Cook for 3 or 4 minutes, stirring occasionally until the roux goes a pale brown colour. Using a small whisk, beat in around one third of the ale. Once smooth, add another third and beat again before mixing in the last of it. 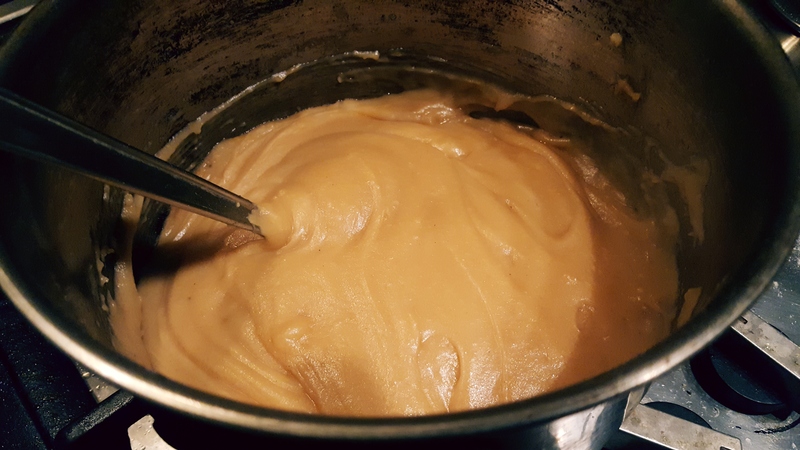 To avoid lumps, make sure the ale is fully mixed into the roux before adding. Simmer gently for a few minutes, beating occasionally. Remove from the heat and mix in the cheddar and seasonings except the salt. Taste and add salt if required – usually the cheese and other seasonings are salty enough. Return to a very low heat and stir until the cheese has melted into the smooth sauce. Be careful not to heat it too much as the melted cheese will split. 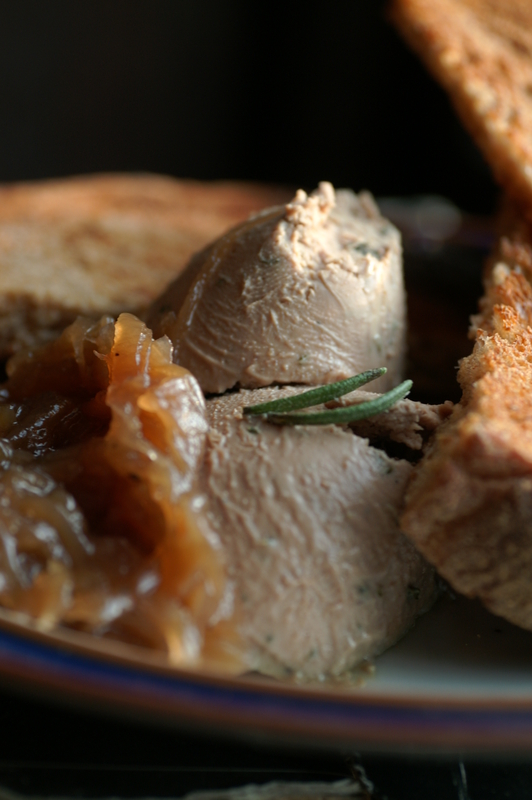 The topping can be used straight away or poured into a tub and refrigerated – the mixture can be moulded onto the toast not unlike cheesy Play-Doh. 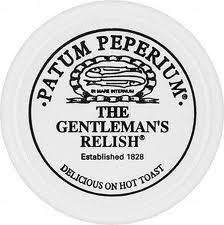 Make your toast and spread, or mould, on the rarebit mixture. Make sure the mixture covers the whole of the slice, right to the edges. Place under a hot grill and toast until bubbling and the colour of a deep golden brown. I like to eat Welsh rarebit with a rocket or watercress salad simply dressed with cider vinegar and salt, a dollop of chutney and a glass of the ale I made it with. This might even be better than rarebit! Apparently, this dish comes from Locket, a Westminster gentleman’s club, but I can find no trace of the club on the interweb, so I’m taking that with a pinch of salt. The original recipe just asks for one to cover toast with pear and watercress, top with slices of Stilton and grill, but I think it works better with a roux-based sauce like the rarebit, which smothers the pears. I also prefer to serve the watercress as a salad leaf alongside grapes and walnuts, but feel free to pop it under the cheese mixture. Make the topping just as for Welsh rarebit, grinding a good amount of black pepper. Make some good, crisp toast, lay the pear slices over the toast, then liberally spread or mould on the cheesy topping. Grill until a deep brown and serve with the salad.